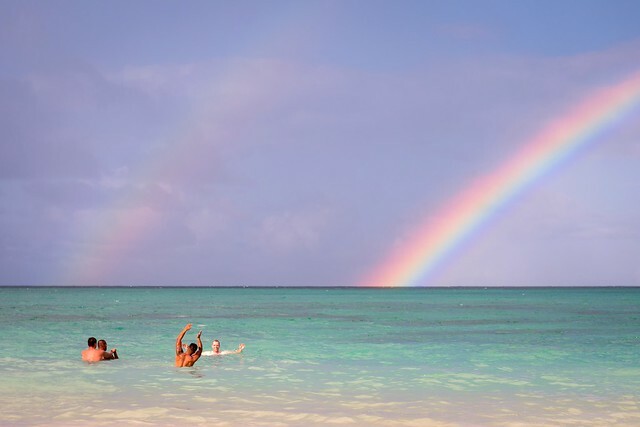 The Ultimate Oahu bucket list has the best things to do on Oahu with your friends and family! What to do on Oahu? No idea where to start? I have created the ultimate Oahu bucket list for inspiration about the best things to do on Oahu, Hawaii. I have done almost all of the activities and been to most locations on the list while I lived on Island for two years. You can click on underlined bucket list items for a more detailed blog post with directions, tips, and photos. I have also linked some of the top-rated tours in each section if you want to book your activities in advance for your vacation to Oahu, Hawaii. What to Pack? : Before you head off to Oahu, make sure you read my Hawaii Packing List guide so you know what essentials you need to enjoy the island life. Also, one very important thing to remember is to make sure you purchase your travel insurance before you travel. My travel insurance: One last thing before you get started! Have you got your travel insurance for Hawaii yet? You can Click Here to find out how I get the best deal on travel insurance and why I never travel without it. If you are yet to arrive in Oahu, I thought I would share my top five places to stay on the island. One hotel is my overall favorite, one is a value pick, another is a family choice and there is also a budget pick in there too. Overall Favorite: Hilton Hawaiian Village Beach Resort – In the heart of Waikiki, this high-end resort is right on the beach. Luxury rooms overlooking the beach, a private lagoon and a free fireworks and dance performance show. Hilton is easily the most recognizable hotel on the Island. It has its own private lagoon. Kids can kayak, swim and snorkel with no worries. There are no currents, waves or sea creatures to worry about. 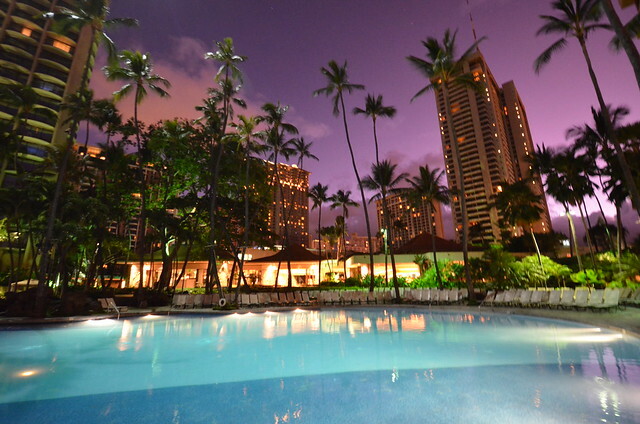 Luxury: Sheraton Waikiki – A luxury resort with the most amazing infinity pool on the island, which overlooks the beach. The bar and nightclub at the Sheraton is a great place to relax after a long day of island adventures. Value Pick: Ewa Hotel Waikiki – This is the perfect hotel if you want location but are willing to sacrifice a pool to save up to $200 per night. All of the hotels in this area are minimum of $300 per night and often much more. Ewa Hotel is just one block back from the beach and is just over $150 USD. Budget Choice: Waikiki Beachside Hostel – A budget alternative, which is still in an amazing location. Walking distance to Waikiki beach and a central location to base yourself for a week of adventures. Family Choice: Disney Aulani Resort – This is a resort your kids will never forget. It honestly feels like a theme park at times with just how many pools and activities are available. If you can afford it, this is the #1 place to stay for families on Oahu. A huge lazy river/tire tube lagoon is probably the highlight of the resort although the water slides and private beach aren’t too far behind. The kids club and massage center are just among a few of the many activities included in your stay. 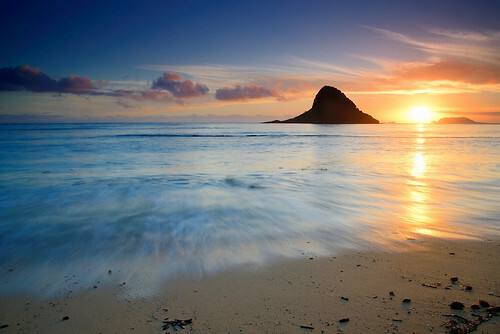 The Chinaman’s Hat is a small island near Kualoa Ranch. It is accessible by kayak or a short swim. Once you arrive at the island a mini hike to the top will give you amazing views of the shore and the Kualoa Mountains. There is a great kayak tour that picks you up from Waikiki and takes you on a Kayak adventure in Kaneohe and to Chinamans Hat. This tour is a not-for-profit, with proceeds helping to fund Kama’aina Kids and He’eia State Park! I think a scenic helicopter flight was my favorite activity to do on Oahu by far! A helicopter tour over this amazing island will be the number one memory you take home with you from your vacation. You can click the blog post link below to see all of the photos I took of the amazing landscapes on my flight. . I did an island tour just after sunrise and we flew over waterfalls, craters, Waikiki and some of the world’s best beaches. You have a few options for different helicopter flights and they all offer something a little different. 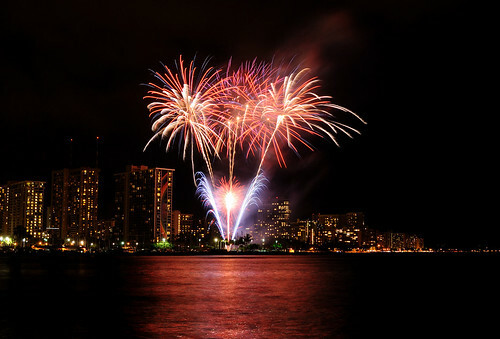 I suggest the full-circle island flight but the fireworks flight would be amazing and for just $200 you can book a 25-minute flight in the Waikiki area. Click Here to read the full blog post and see all of the photos from my epic flight. From Lanikai or Kailua Beach a kayak to the mokes will take about thirty minutes. A beautiful canoe or kayak paddle to the Mokulua is a great escape for the day to an isolated island. Around the back side of the island, there are quite a few good cliff jumping spots and also the Queen’s bath, which is one of my favorite places on Oahu. There is an option for a fully guided kayak tour, including a professional guide, safety gear, and lunch! I have linked the top-rated tour below. The Stairway to heaven was one of my favorite things to do on Oahu. While it is illegal, the stairway is still frequented by a small number of people on most mornings. At the summit, there is an old satellite atop a small bunker. As the sun rises 20 or more people sit atop the bunker with views all the way to the beach and down into the valleys on either side. Another Oahu sunrise worth waking up for is at Lanikai Pillbox Hike. It is important to know that this hike is ‘illegal’ and off limits. Many people still do the hike every day. There is a back-way up that is technically legal and all of the information is in the blog post I wrote in the link below. The most popular hike on Oahu and probably the most popular thing to do on Oahu aside from Waikiki Beach. It takes about 30-minutes to reach the old war bunkers at the top from which you will have amazing views of Waikiki and the ocean. The entire hike is quite scenic but it isn’t until you reach the. top that you have stunning views in all directions. 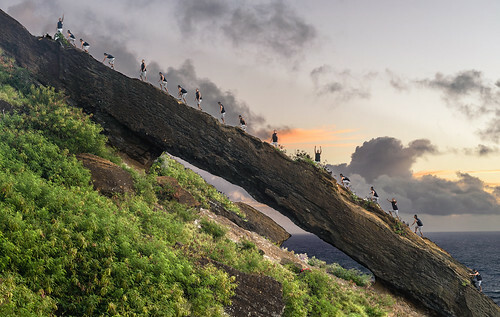 This is truly one of the most epic viewpoints anywhere in the world and a must-do activity on Oahu. The entrance fee is just $2 but if you prefer to join a guided tour to show you the way and share stories and history with you, I can recommend this top-rated tour. Have you ever thought about being in the water with a shark? 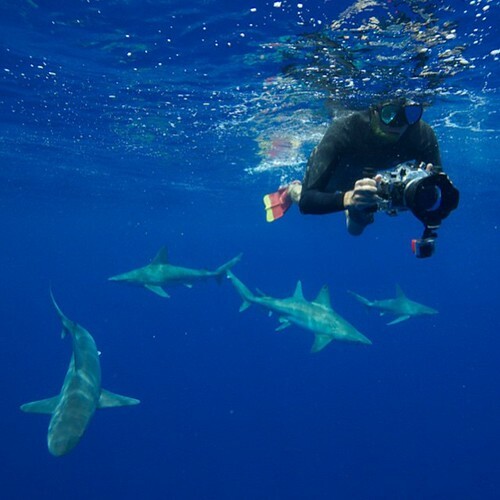 This tour company take people out and let them swim with sharks without a cage! It might seem extreme but they haven’t had any injuries or incidents in 20 years of operation. Sandbar sharks circle around you as you snorkel out in the open ocean. This is something your friends back home won’t believe and it is one of the unique activities in Oahu. Looking out over Kahana Bay, the Crouching Lion Hike offers amazing views, steep drop-offs, and beautiful lush surroundings. It’s located on the Northeast side of Oahu and is usually much less populated than many of the other hikes on Oahu despite how beautiful it is. There is a local company called Mahina Hawaii that will take you on guided adventures around the island like Crouching Lion Hike. They use their local knowledge and experience of the area to keep you safe and have the best overall experience. Full blog post: Click here to find out how to find the Crouching Lion. What better place to jump from a plane than above the beautiful azure water and rocky coastline of the North Shore. It’s an awesome adventure up north where you can make the leap of your life. Definitely one of the craziest Oahu activities on offer! The Tandem Skydive tour on the North Shore includes pick-up and drop-off from your hotel in Waikiki. A sunset cruise on a 53-foot catamaran takes you south toward Hawaii’s iconic Diamond Head. There isn’t a much better way to enjoy than sunset than aboard a yacht with a. cocktail! Enjoy a slice of paradise, complete with cocktails. Aloha! A traditional Hawaiian luau with sunset coastal views at Paradise Cove. Enjoy a welcome Mai Tai and authentic Hawaiian fare, including fresh seafood, kalua pork, and tropical fruit during this 5.5-hour experience. Watch the sunset and enjoy entertainment from Hawaiian musicians, hula dancers, and fire twirlers. Snorkel with green sea turtles in Oahu’s Turtle Canyon on this 2- to 3-hour tour departing from Waikiki. Board a power catamaran and sail along the shore of Oahu towards the island’s best place to spot the resident turtles. Turtle sightings are guaranteed; if a turtle is not sighted, you will be given a free second cruise. After snorkeling, enjoy lunch and two provided drinks while you keep your eyes peeled for passing marine life like dolphins and migrating whales. Snorkel equipment and round-trip transportation from Waikiki hotels are included. One of the most popular hikes on Oahu, Koko Head Stairs is a relatively short hike but don’t be fooled. The unforgiving incline will have you gasping for breath by the time you reach the top. My personal best was 12:15 but I have seen people fly up much quicker. If you take a leisurely walk up you can expect to finish between 30 minutes and 1 hour. The hike itself is free but it isn’t near Waikiki. There is a tour that includes transport, assistance, food, and someone to carry your water and guide you along the way. If you prefer to do the tour with a guide and including hotel pick/up and drop-off from Waikiki it could be a good option. Full blog post: 1048 Steps up the Koko Head Stairs. Climb aboard a 48-passenger submarine and adventure through the underwater passages of the famous Waikiki beach. Through its portal windows, see Hawaiian fish, coral, turtles, sunken ships and airplanes and more! It’s truly an amazing experience to see sunken warships and planes and all of the marine life that is now calling it home. This Atlantis tour is one of the most incredible things to do on Oahu. Hanauma Bay is the most popular spot for tourists to spot a turtle or explore the underwater world of the Pacific Ocean. The coral here is amazing and it is a protected bay so it is perfect for a half-day snorkel adventure. If you are lucky you will even spot a turtle but you can be guaranteed to find hundreds of amazing fish and marine species. It is about a 30-minute drive from Waikiki. One of the most popular ways to enjoy Hanauma Bay is to join a tour with an expert snorkeling guide who will pick you up from your hotel in Waikiki, give you all of the snorkeling gear, arrange for you to jump the lines at Hanauma Bay and help you search for turtles and unique creatures underwater. After the trip, he will drop you back to your hotel in Waikiki to complete the day. Float along a zip-line through Jurassic Park territory! It is a short scenic cruise through amazing surroundings, slow enough to allow you to enjoy the scenery you are but exhilarating enough to get your heart-rate up! This is why it is a great activity for a family or a group of friends it is a fun day for the thrill-seeker and the non-adventurer of the group. The top-rated zipline tour picks you up in Waikiki from your hotel and you enjoy the zipline adventure, which includes 7 different ziplines in Kaawa Valley (where Jurassic Park was filmed). Look for dolphins and whales on a snorkel excursion at 2 of the best snorkel sites in Oahu. See spinner dolphins and look for whales breaching from the comfort of a state-of-the-art cruise vessel. An epic tour that shows you the most beautiful creatures of the ocean while cruising along the coast of Oahu. There is also an option to include snorkeling on this incredible tour. After Diamond Head Hike, Manoa Falls is the second most popular hike on Oahu. Only minutes from the busy streets of Waikiki, this jungle trail leads you to a large waterfall. Jurassic Park and Lost filmed scenes in this lush green area. The best way to experience Manoa Falls is with an experienced tour guide who can explain all of the local flora and fauna, most of which is unique to Oahu. You can book yourself onto a guided tour that includes pick/up and drop-off from your Waikiki hotel. 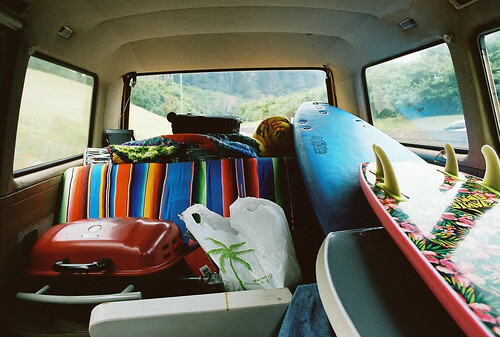 The North Shore of Oahu is famous for surf, beaches, and the chill vibes. 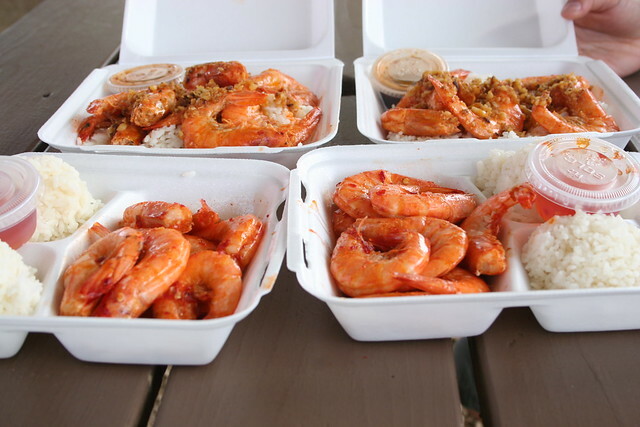 But you can’t visit the North shore without trying some famous Garlic Shrimp. There are plenty of food trucks lining the coast all claiming to be the best and the original. I tried quite a few of them during my time on Oahu and of the more well-known trucks, I enjoyed Romy’s. While you are up there check out one of the best beaches on the North Shore. The Pali Notches are one of the most dangerous hikes on Oahu due to the strong winds that often frequent the trail, which has an unforgiving drop on both sides. You also need to complete a few basic rock climbs to complete the trail. At the end of the trail is the ‘chimney’ a vertical rock face you can climb with the assistance of a rope. This is an iconic photo spot on Oahu. Combine all the best parts of Oahu in one awesome yoga session on the Ocean while watching a sunset come down one side of Ala Moana, while palm trees line the other side of the bay. You could also try Night SUP yoga with Led lights in what is an epic experience near Waikiki. Kuliouou Ridge Trail isn’t what you would expect on Oahu. A forest setting you would expect in the Pacific Northwest of the Mainland is a great spot to have an afternoon hike. The trail takes you through a steady incline surrounded by trees until eventually, you emerge to a beautiful view that stretches out. to the ocean on the east coast of Oahu. My favorite waterfall hike on Oahu, Ka’au Crater Hike leads you up three waterfalls before you navigate a fine ridge on the edge of the crater to reach expansive views in all directions. The hike takes a few hours if you are quick and 5-6 hours if you are a slower hiker. It is relatively safe but I wouldn’t recommend this hike for people in good shape as there are moments where you need to use ropes to pull yourself up steep segments. Despite what its name might suggest, the Dead Man’s Catwalk provided more amazing views than perils. The catwalk referred to the cement slab that some claim was a possible war-era installation or was previously used as a launching strip for hang gliders. The words “The Dead Man’s Catwalk” were constantly being spray painted on the 6-yard strip that led out to a steep drop-off down the face of cliffs. The cement platform might be gone but the epic view is still as amazing as ever. Heads up this trail is ‘illegal’ also although still heavily frequented daily. From Wiliwilinui Ridge you can make out Waikiki, a city of white buildings seemingly a world away from the ridges we are roaming. When you turn the other way at the top . of the trail you can see the turquoise water of the east coast and the panoramic views. You will feel like you are in the middle of the island and you just about are! This is a hike none of the other tourists in the hotel will even know exists. It’s one of the most unique things to do on Oahu and definitely off the beaten path. Lanikai is by far one of the prettiest areas on Oahu, laden with spectacular homes, crystal clear water and the famous Mokoluas also known as “mokes” (Mountains) out in the ocean. Only a few blocks back from Lanikai Beach is the beginning of the Lanikai Pillbox Trail (Kaiwa Ridge), known for being one of the easier trails on the island of Oahu. There is no better way to start your day than with a short sunrise hike overlooking the ocean and amazing scenery. Only a short drive or a 30-minute walk up the hill from Waikiki is the much more relaxed Cromwell’s beach. Explore around the corner and try and spot the semi-enclosed salt water rock pool created by someone with much, much more money than myself. Hanauma Bay is the most popular snorkeling beach on Oahu with hundreds of tourists visiting each day. However, a beautiful hike winds around the cliffs above the bay leading towards the ocean’s edge. If you follow the path all the way to towards the ocean and venture down the cliffs you will find a small rock bridge. Be incredibly careful in this area as it has claimed the lives of strong swimmers in the past after they were swept off the rocks. One of the lesser known things to do on Oahu but definitely one to enjoy from a safe distance. A cascading waterfall in the middle of the forest is a peaceful spot to enjoy the afternoon. The hike is right next to the Pali Highway and only takes about 30 minutes. You can swim in the pool below the waterfall. Visiting a waterfall is a must-do activity on Oahu and Lulumahu is one of the most unique things to do outside of Waikiki. One of the more challenging hikes on the island this trail will give you spectacular views of the ocean while enjoying beautiful mountain surroundings. Mariners Ridge is a challenging hike but it is worth it when you reach the summit and get to enjoy the views of the island on both sides. China Walls is a little cliff edge on the east side of Oahu. On a calm day, it is a perfect spot for some small to medium cliff jumps. On a day with some swell, stand back because China Walls gets crazy. I took this video there on a huge day. In the mountains on the west side of Oahu is the Pink Pillbox Hike. Painted pink as a testimony to breast cancer victims and survivors, the abandoned military pillbox isn’t hard to spot. Five pillboxes in total line the ridge, which takes less than an hour to hike. This is one of the less popular things to do on Oahu but it was by far one of my favorite hikes on the island. In the mountains overlooking the famous Pipeline beach and the North Shore of Oahu, the Peace Hike provides a great vantage point. After twenty minutes of hiking, you will find a small platform/pillbox that has a peace sign painted on it. Be sure to do the hike on a day with big swell so you can watch the huge waves roll in one after another from up in the mountains. 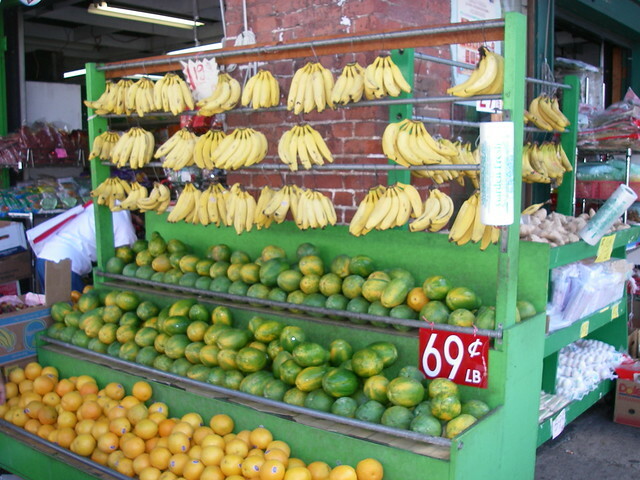 The markets in Chinatown are an interesting collection of grocers and Asian goods. While not everyone’s cup of tea this is a morning of discovery and exploration that is a little off the beaten path for most tourists. I used to live right near Chinatown and can tell you this area is home to many homeless people and many store-owners who are hustling to make a living. The Judd Trail is just off the Pali Highway and will transport you from island paradise to a woodland forest typical of many states on the mainland. A path winds beneath towering trees for a couple of miles, leading you to the Jackass Ginger Pool. The pool has a small cascading fall and a rope swing and is a great spot to hang out for the afternoon. Poke Bowls became my favorite food on Oahu. 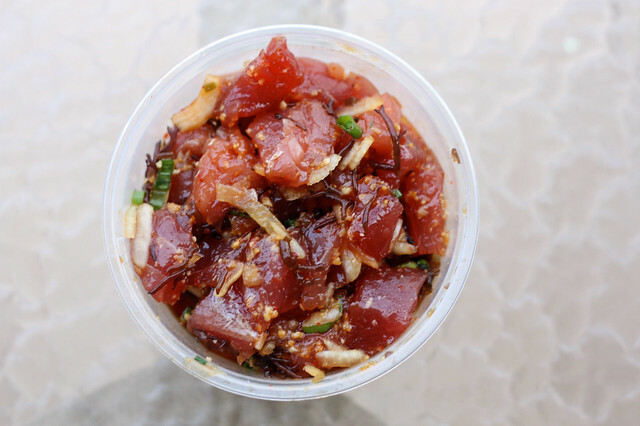 Essentially a poke bowl is raw fish, most commonly Ahi and rice. However, you can get a bowl with octopus, squid or other types of seafood. A spicy sauce or seasoning covers the fish. Bowls range from $6 to $15 depending on where you buy them from. Cockroach Cove is right next to Halona Blowhole. Although tourists will come and go en masse in the carpark above the cove it is actually a great spot to chill out. Turtles often feed in the area and the rock formations and little caves make a great backdrop for an afternoon chill session. Sandy’s is right around the corner if you get bored and want to go get smashed by some waves. You might also be interested in reading about the best turtle beach in Hawaii! 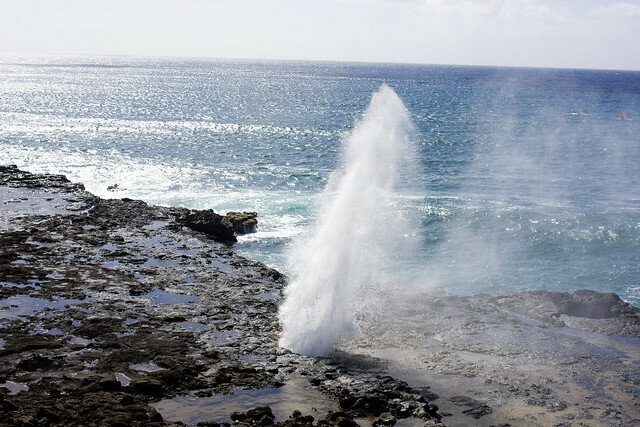 The Halona Blowhole is on the east side of Oahu and is one of the most popular things to do on Oahu. As the waves crash into the cliffs under the rocks the water surges out of a blowhole shooting into the air. The rougher the day the bigger the spray from the blowhole usually. In the winter anywhere on the east side of Oahu, you are a chance to see a whale out in the ocean. Spots I have personally seen whales are Makapu’u Beach, Spitting Cave, Turtle Bay Resort (North Shore). One of the best ways to see breaching whales is on a dedicated whale-watching tour. The tour picks you up from your hotel and takes you out for a day cruising on a boat looking for whales who are migrating. 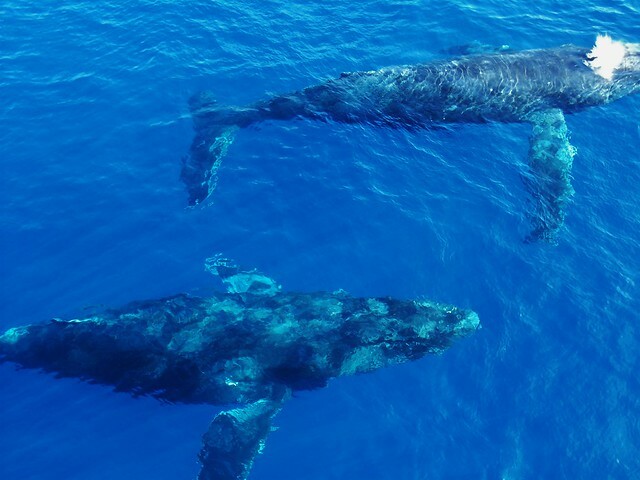 The captains are usually experts in locating the whales so this is your best bet for an up-close look at these majestic creatures. 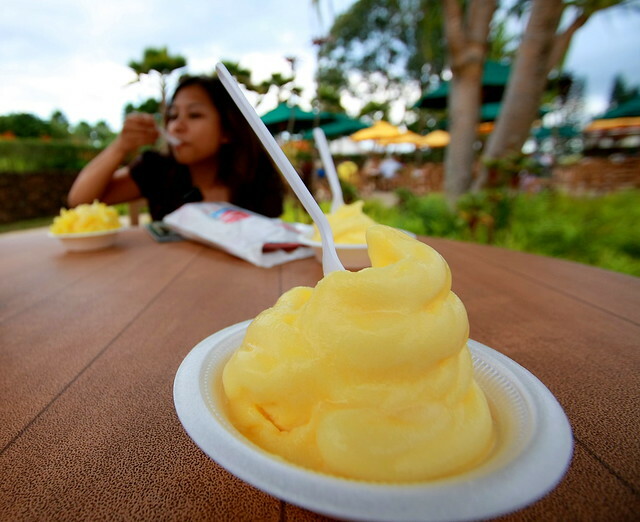 The Dole Plantation is a great spot to stop at on the way to the north shore for a tasty pineapple treat. The Plantation offers tours and has a huge hedge maze. The soft serve pineapple whip is like no other ice-cream you’ve had before. Be prepared for masses of tourists. There is an epic tour that takes you all around the island to all of the iconic spots including to the dole plantation. It’s called the Circle-Island tour and most tourists to Oahu love this one. An activity that is frowned upon but if you are successful you will have free buffet snacks and the best view in the house of the Friday fireworks from the Hilton Pool. I won’t tell you how to do it but enjoy the view once you figure it out. Three Peaks or Olomana Trail is a treacherous looking hike with three steep peaks that can be seen all the way from Lanikai. This is not a hike for the faint-hearted with a number of narrow parts of the trail with steep drop-offs. The views of the Koolau’s are worth it all. The Makapu’u Lighthouse hike is one of the most popular things to do on Oahu. However, what most people don’t do is venture down the cliffs to the tide-pools on the water’s edge. Once down on the rocky coastline, a number of tide pools are deep enough to jump into and a few blowholes might give you a surprise too. When parking in the Makapu’u Lighthouse Trail carpark, there is another attraction close by. If you walk back towards Waikiki along the coast away from the lighthouse there are a collection of wooden planks hanging out over the crystal clear water. Only a few yards high they make the area a perfect spot to hang out for the day. This is one of the lesser known Oahu attractions. Check out the Oahu attractions. Check out the Tom Tom/Makapu’u Trail while you are in the area! You have many to choose from as the winter season comes. Notable competitions are the Billabong Pipe Masters and the “Eddie” a big wave surf competition at Waimea Bay. The atmosphere at surf events is like no other sporting events. A friendly low-key environment on the beach while surfers ride some mental waves out in the water. Pictured below is a shot I took at Waimea Bay a week before the “Eddie”. Watching a surf comp is one of the best things to do in Hawaii no matter what island you are on. This is the must-see event of the year on Oahu. As the winter swell rolls through, the best surfers in the world gather for the final round of the World Surf League. Often this competition decides the world champion. I camped out on the beach with many others during two of the days and loved the vibe on the north shore during the comp. I was lucky enough to see and shoot surfers like Mick Fanning, Kelly Slater, John John Florence and Gabriel Medina. Keiki Beach is like the Sandy Beach of the north shore. Ridiculous waves crash into the shoe while crazy bodyboarders find shade in barrels. I went in the water once here on a huge day and I’m pretty proud of that. Definitely be very careful at this beach. 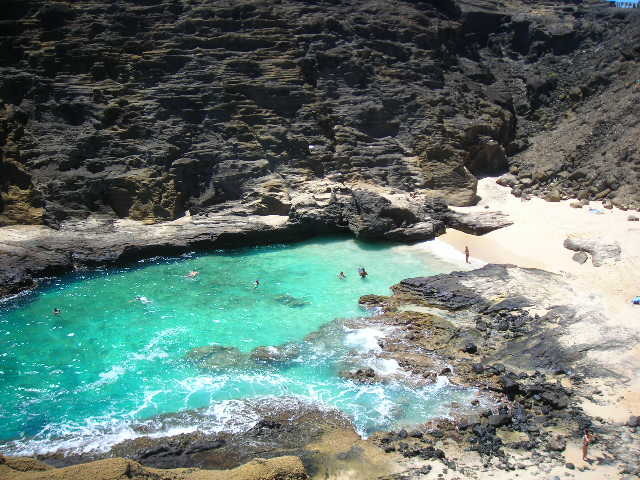 Waimea Bay is my favorite beach on Oahu. It has rock climbing, turtles, underwater tunnels and huge waves in the winter. However, it’s most popular feature is a giant rock resting half in the water half on the shore. It is easy to climb onto the rock and from there you can join the crowd of nervous jumpers who wait their turn to leap off the rock. It isn’t incredibly deep but usually, it is just deep enough. 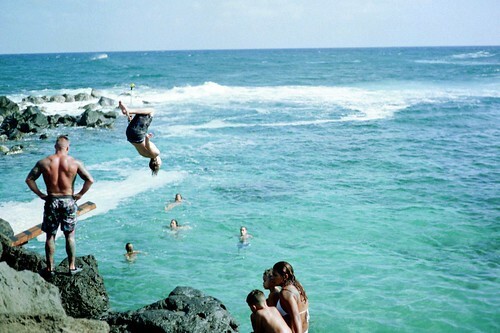 Jumping off the rock is one of the most iconic things to do on Oahu. For a few dollars, you can rent yourself a surfboard and join the masses trying their hand at surfing at the famous Waikiki Beach. Although many locals frequent the surf break, it is mostly crowded by kooks and terrible surfers like myself. If you do head out to ride some waves keep your eyes open for stray boards trying to take your head off. There are tons of things to do in Waikiki but surfing has to be at the top of your list. Oh also if you want to see how terrible I am at surfing watch the video below. The ‘Eddie’ is truly a phenomenal event. When the swell gets large enough, the best big wave surfers in the world fly in to Oahu to test their metal on 40+ foot waves. Often several years go by with no event due to the conditions. Therefore, when the event is on every man and their dog heads to the north shore to enjoy the spectacle. Each Friday the Hilton puts on a FREE blockbuster fireworks display. The fireworks usually begin at 7:45 and hundreds of people fill the beach to watch the fireworks launch from along the shore. On Oahu’s, most eastern point sits the Makapu’u Lighthouse. The paved trail that takes you there is one of the most popular hikes on Oahu because of how accessible it is and the amazing views it presents. Because the trail is so clearly marked (unlike many of the hikes on Oahu) it is completely foolproof and great for beginners. It is family and dog friendly and a great way to see some fantastic views of the east side. This trail is one of the top five most popular things to do on Oahu. One of my favorite things to do on Oahu was to head to spitting cave on the east coast cliffs and watch the divers jumping off. I had done some cliff jumping in the past but this spot was always a little bit sketchy for me at the time. Water rushes in with waves, filling the cave before being spat out with great force. It’s one of the top things to do in Oahu for adrenaline junkies. This is also a great place to watch the sunset in the summer or spot whales in the winter. 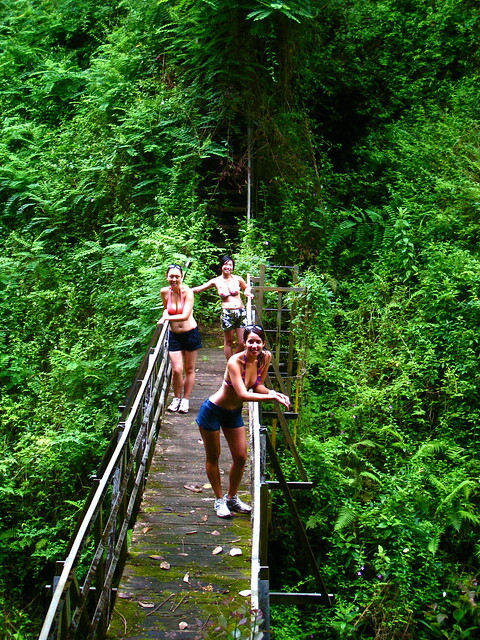 The Maunawili hike is another trail into the jungle! You will find a large pool of water and even a rope swing. But can you get off the beaten path and find the bridge? Nicknamed ‘Neck Break Beach’ the waves at Sandy Beach are unforgiving. Huge waves crash directly onto sand or only a few feet of water. It sounds like there would be few venturing into the water however, this is the most crowded beach on a weekend. Locals flock to get barrels before getting dumped and the beach is always full of action. What better way to see Oahu than from hundreds of feet up in the air. Parasailing is the perfect activity on Oahu as the sun sets so you can enjoy the beautiful colors from up high, looking down on the city. This tour includes hotel pick-up and drop-off. 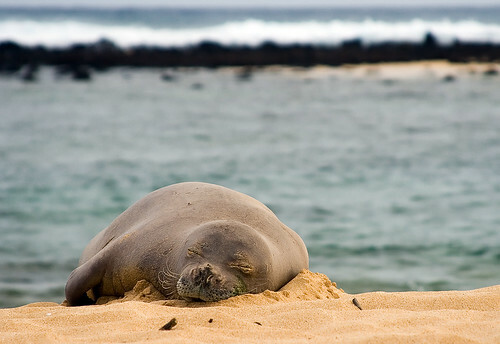 The Hawaiian monk seal is the only seal native to Hawaii and is one of only two mammals native to the islands. I was lucky enough to see a few monk seals both in the ocean and on shore. They are protected so once they swim onto the shore you must keep a safe distance from them and definitely don’t touch them. One of my favorite things to do on Oahu is to jump on a moped and head along the East Coast to Makapu’u, Sandy Beach, Chinamans Hat, Spitting Cave, Koko Head or Crouching Lion. The coastal drive is amazing as you drive right on the edge of cliffs. The waves crash below and you can see the ocean for almost the whole drive. What better way to wake up than to the sound of crashing waves. Have a morning surf before breakfast before enjoying the relaxed vibes on the North Shore all day. 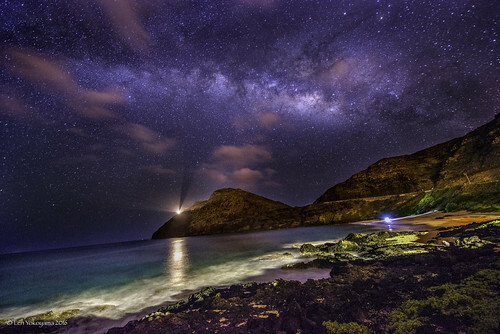 There are plenty of awesome spots on Oahu to get a good look at the stars each night. Away from the city at Kaena Point or at Makapu’u seem to be the most popular. There are several photography tours on Oahu and I will link them below. Some are for sunrise, sunset or landscape focused with locals who know the spots and can teach you how to shoot amazing photos. On the far west side of Oahu, Makua Beach lies at the foot of majestic mountains, hiding behind a wall of trees. Crystal clear waters wash upon a long stretch of beach with a backdrop of Makua Valley and cliffs that seem to encapsulate the secluded beach. Visiting this beach is one of the most special things to do on Oahu. Sea Turtles are at most of the beaches on Oahu and you will find it hard to miss them during your stay. My favorite spots to hang out with a turtle are Electric Beach and Waimea Bay. Just remember to keep your distance, never touch and be sure and respect these beautiful creatures. Swimming with a Sea Turtle is one of the top ten things to do in Oahu in my opinion. I wrote an article about the best spots and an overall guide to swimming with sea turtles on Oahu and have linked it below. One of the most magical experiences you can have on Oahu is to get lucky enough to swim with dolphins. Often on the west side of Oahu, a pod of dolphin will cruise past while you are in the water or you can swim out to join them. I was lucky enough to swim with dolphins on two occasions and also once heard the calls of a whale in the water. Electric Beach and Makua Beach seem to be the best spots to encounter a pod of dolphins. There is an awesome tour that I have personally done that picks you up from Waikiki and takes you out west where you head out on a boat and get into the water. Here you get to watch as the dolphins swim around you in the wild. there is a rule that you cannot swim or chase the dolphins but you merely float as they come and check you out. It’s a very special experience and I will drop the link below to the tour if you are interested in trying it. Acai berries are a superfood native to Central and South America. They contain more antioxidants than most berries including cranberries and even blueberries. Most bowls often come topped other fruits and berries and even granola, so they are actually quite filling. After trying tons of acai bowls from all over the island I wrote a guide (linked below) about a few of my favorites. 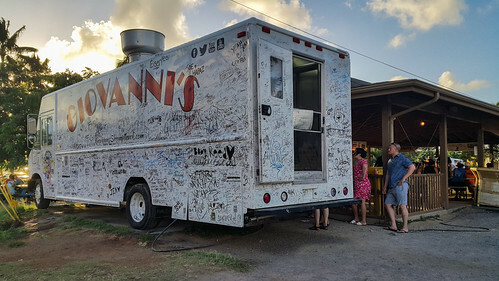 One of my favorite things to do on Oahu was to head to the food trucks on the North shore and grab a plate of garlic prawns or a Mexican feast and watch the sunset over Shark’s Cove. After a long, tiring day of enjoying all of the beautiful beaches on Oahu, this is the perfect way to rejuvenate and tuck into some awesome local and exotic food. 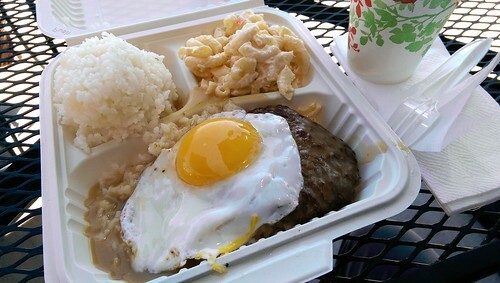 The traditional loco moco is made of white rice, topped with a hamburger patty, a fried egg, and brown gravy. You can find this at lots of local eateries and even Wholefoods! Try it at least once! Oahu has a huge contingent of Japanese residents who have had a big influence on the cuisine of the island. One of my favorite things to come from Japan is mochi ice cream. 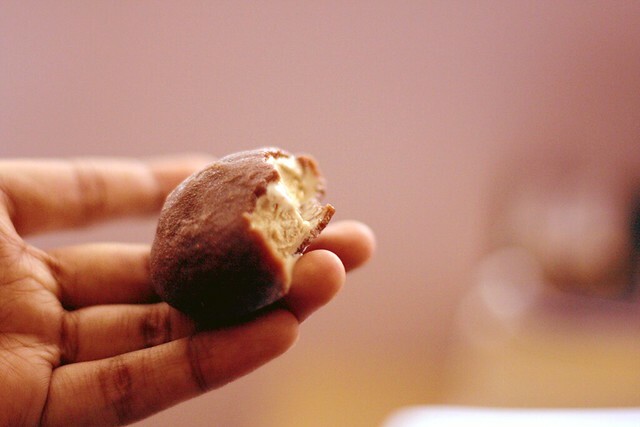 Made from rice, the mochi encloses the ice-cream inside its chewy outer layer. It comes in a variety of flavors such as matcha, green tea, and coffee. Some of the best spots to find a rainbow on Oahu are Tantalus Lookout or on the west side of Oahu. Happy hunting. 100 feet below the surface lies The Sea Tiger, which is a former Chinese trading vessel originally named Yun Fong Seong No. 303. The ship was confiscated in the 1990s for carrying more than 90 illegal immigrants to Hawaii. It was purchased by Voyager Submarines, cleaned up and sunk in 1999. This is probably one of the hardest items to tick off on the list. The closest I got was a time at Electric Beach listening to the songs of a whale while underwater but I never caught a glimpse of it. Octopi are aplenty in the. waters of Oahu and tend to be curious characters. If you are lucky enough to spot an Octopus they will cling to you or your camera, which can make for some great photos. I have never personally found one but many of my friends encountered them from time to time. 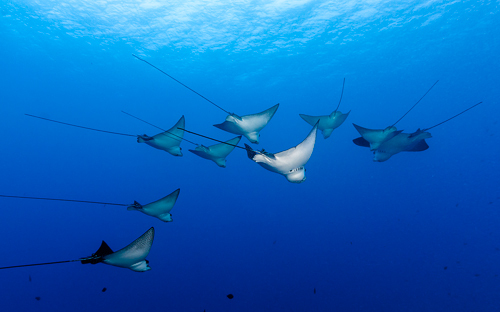 Oahu is actually a great place to encounter a ray gliding beneath the surface of the ocean. They enjoy coastal bays with mud bottoms at depths greater than 50 feet, such as Kaneohe Bay. They are most active two hours before sunset and two hours before sunrise, which is a big tip if you are looking for the opportunity to swim with one. They also prefer the warmer waters of the summer. A 25-30 ft cliff jump on the north shore is a great spot to spend the day. Make sure the conditions are right, the water is deep enough and you know the surroundings before taking the plunge. 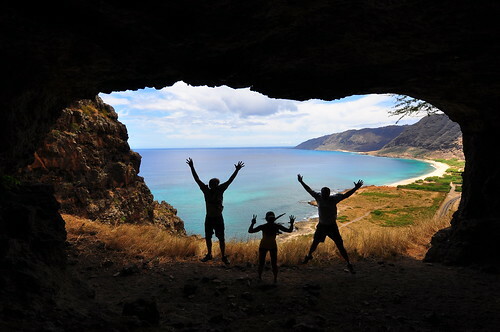 Makua Cave is at the end of a short hike on the West side of Oahu overlooking Makua Valley. From inside the cave, you have a great view of the ocean, valley, highway, and sunset. This is a perfect spot to get a creative silhouette shot as the sun goes down. 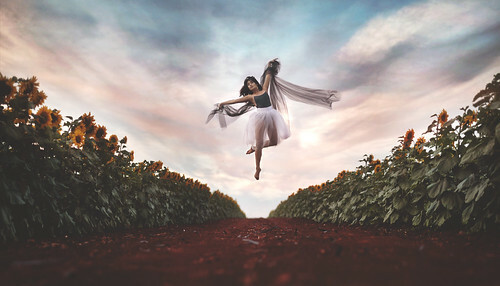 If you can figure out where to find the sunflower fields on the North Shore of Oahu, you are in for a magical afternoon and sunset full of photo opportunities. This is one of the best places to visit in Oahu that you won’t find in the tourist books. A traditional coconut pudding many locals crave. 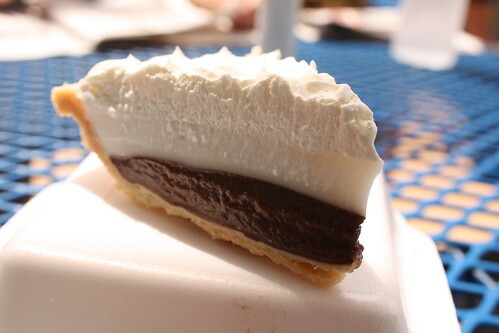 One of the best spots to get a Haupia Pie after a day of beaching it on the north shore is Ted’s Bakery. With views, all the way from Kaena Point to Waianae this is a great little hike to do when you get out on the west side. I personally love hikes that are right near the beach and you can’t get much closer. Lahilahi point is a short hike taking no more than 20-30 minute to reach. It’s one of the lesser known things to do on Oahu. 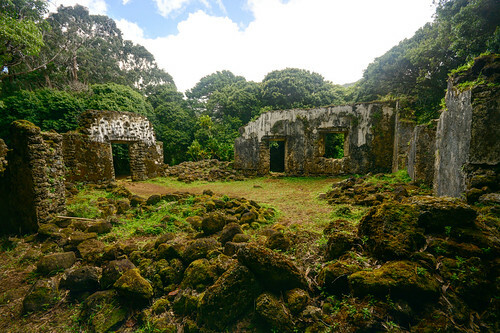 Also known as King Kamehameha III summer home, this is a slice of Hawaiian history hidden on the Nu’uanu Oahu hike. The hike is short and on the same trails as the Luakaha Waterfall. Get up early and head to the east coast of Oahu before the sun rises. The Koolau’s will loom behind you in the darkness as you wait for the sun to creep over the horizon. This area is really beautiful during sunrise and just after as the mountains will be lit perfectly and Chinamans Hat is a nice silhouette out in the water. Soar 30 feet (9 meters) above the waters of Oahu with a water-propelled jetpack on this adventurous experience. After a certified instructor gives you a safety briefing and training on how to use the pack, practice walking on water, deep-water landings, elevation control and steering while enjoying views of Maunalua Bay. No experience is necessary, and observers are welcome to enjoy views of Koko Crater, Koko Head, and the Ko’olau mountain range. 80 THINGS TO DO ON OAHU – THE BUCKET LIST! Its amazing list we are always searching best things to do in Oahu, Thank you so much for giving best list of this…. #71, Tako is actually the Japanese word for Octopus, which I understand, since there is a considerable Japanese population, their culture is very present. The Hawaiian word for Octopus is He’e. Really like your bucket list post, I born and raised in Nanakuli, so familiar with a few of those spots. Kolekole Pass would have been amazing to hike, but military, so no can. Mahaloz and A Hui Hou! Thank you so much! We are heading to Oahu early-mid December and can’t wait! I appreciate all of you tips and descriptions. The pics included are a huge help!! Can I simply say what a reduction to seek out somebody who really is aware of what theyre speaking about on the internet. You definitely know find out how to bring an issue to mild and make it important. Extra people must read this and understand this aspect of the story. I cant consider youre no more in style since you definitely have the gift. Greetings from Bulgaria. Thanks a lot for sharing your awesome bucket list. I am following it for sure. Wow, Oahu looks beautiful! I have never been to Hawaii, but it is definitely on my bucket list, along with St. Lucia (I want to do the Grand Piton hike), Iceland (I want to see the Northern Lights), and San Francisco. I like to visit different places. They don’t necessarily have to be hot, cold, or UNESCO World Heritage sites. I just like to see different things and meet new people. It’s all part of the fun of travel! Heading out there in 2 weeks for the first time. Great List and EPIC Photos! Thanks for this post! Travelling is the best way of exploring the beauty of nature. The blog also help us for travel destinations. Planning a trip to Hawaii for my family.. no need to visit a travel agent after finding your blog! Thankyou! It’s fantastic!! Where is a good place to get some weed?